New Wedding Suppliers — My Favourites for You! Now, do you remem­ber just over a week ago I decided to try some­thing new, and asked new wed­ding busi­nesses to com­ment on the blog and tell us all about them­selves? I had a fan­tas­tic response — prob­a­bly because I offered three win­ners a month’s free side­bar advert on Eng­lish Wed­ding Blog. Those three win­ners are here: meet my new favorite wed­ding sup­pli­ers for June! 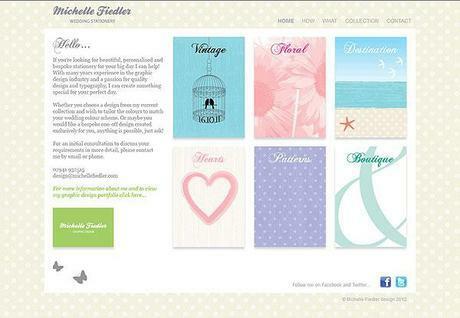 Michelle Fiedler’s wed­ding invi­ta­tion web­site is absolutely per­fect — her atten­tion to detail is sec­ond to none. Inspiring! 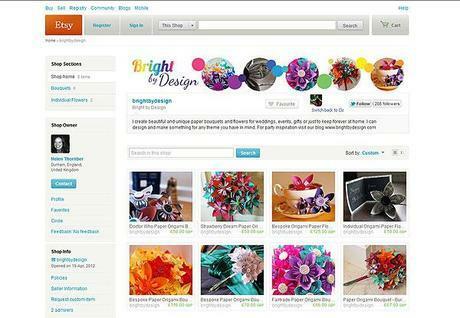 Helen’s Bright By Design origami flow­ers are gor­geous — def­i­nitely a win­ner for me! Modo Cre­ative have designed a wed­ding count­down cal­en­dar print — I love the idea! Michelle Fiedler is a full time free­lance graphic designer who has just launched her wed­ding sta­tionery web­site which took a year to get together! She’s pas­sion­ate about design and good qual­ity typog­ra­phy to go with it. She says the biggest reward of all “is when I get the wow ‘we love it’ feed­back from lots of happy customers”. Helen makes unique wed­ding bou­quets, cen­tre­pieces and but­ton­holes from the most gor­geous origami flow­ers — peo­ple have even ordered them for their homes and as birth­day gifts too. Every bou­quet she makes is unique, and she loves work­ing with peo­ple to make some­thing that really reflects their day and their theme. 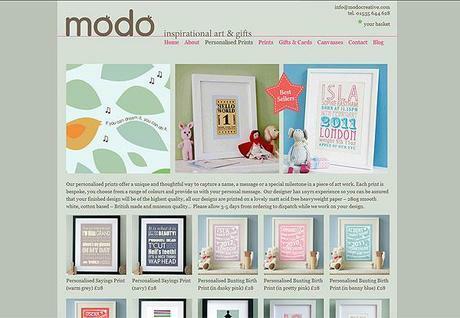 Modo Cre­ative are designer mak­ers and spe­cialise in per­son­alised prints, cards and gifts and have a few wed­ding new­bies that we would love to show off. Their Per­son­alised Wed­ding Count­down Cal­en­dar is based on a tra­di­tional advent cal­en­dar but instead you are count­ing down to your wed­ding day! Each of these wed­ding busi­nesses will get a small side­bar ad, below my main spon­sors’ adverts. The slot will be for one month and will show on every page of the blog (Eng­lish Wed­ding gets 32,000 vis­i­tors a month) and on every page refresh (the blog gets 61,000 monthly page views). Any reader who clicks on an ad will go straight through to the wed­ding busi­ness website.